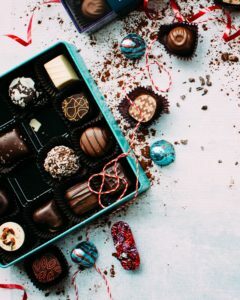 What better way to celebrate Valentine’s than with Texas Hill Country wine and chocolates on a romantic getaway to Fredericksburg this February? Romance is always a theme in every one of our luxurious Wine Country Cottages on Main Street in Fredericksburg. At Stay Fredericksburg, guests enjoy a private cottage with personal outdoor hot tub, gas fireplace, spa-like bathroom, premium king bed with luxury linens, Continental Breakfast makings, plus a gourmet wet bar stocked with locally sourced products. Becker Vineyards plans a complimentary pairing of their new vintage Merlot with Austin’s Delysia Chocolatiers. Guest Chocolatier, Nicole Patel will be present with samples, plus chocolate and chocolate truffles for sale. Becker Vineyards is just a 20 minute drive east from Fredericksburg. Sunday, February 3, 2019, from 12:00 – 6:00 pm. 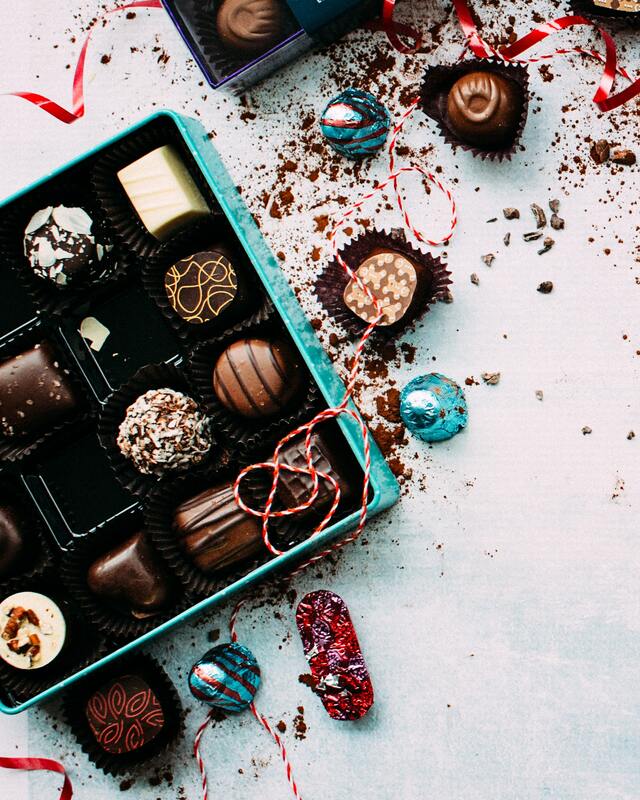 Lost Draw Cellars, only several blocks away from our cottages, will be pairing their award-winning Texas wines with Chocolates El Rey’s award-winning gourmet confections. Four tasting sessions will be offered on each of two Saturdays. Tasting sessions also will feature live music by Colin Boutwell. Cost: $20 per person; must be reserved online for February 9, and February 16, 2019. Barons Creek Vineyards, located on Highway about a 10 minute drive from our bed and breakfast, plans Valentine’s Pairings every Saturday and Sunday throughout February. These Valentine’s Pairings will include a selection of six wines paired with the Chef’s selected chocolates, fruit, and cheeses. There will be live musical entertainment on Saturday afternoons February 2, and February 16 from 1:00 – 5:00 pm. Limited seating is available. It’s Valentine’s Cookies and Wine on Valentine’s weekend at 1851 Vineyards, just a 10 minute drive south from our cottages on Fredericksburg’s Main Street. Each of their delicious cookies, from traditional to unique, will be paired with an 1851 wine. Cost: $20 per person includes the wine and cookies, reservations are recommended. Valentine’s romance is in the air, and you’re invited to taste wine and chocolates throughout February in Texas Wine Country! Don’t wait to reserve your favorite cottage – just go online or call us at (830) 213-2570! This entry was posted in Events, Food & drink, Holidays, Uncategorized, Wineries and tagged fredericksburg B&B, Fredericksburg romantic getaway, Fredericksburg wineries, Texas Hill Country Wineries, Valentines Romantic Getaway by admin. Bookmark the permalink.